Jack W. Anderson, 93, passed away peacefully at his home on Sunday, November the 25, 2018 surrounded by family. 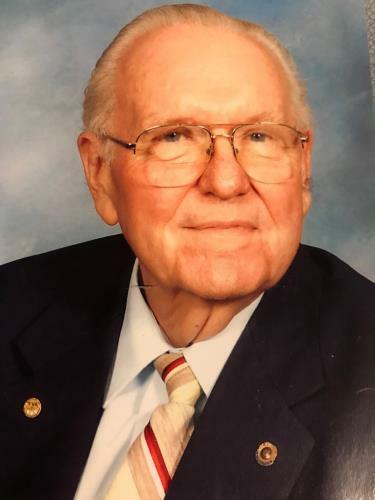 He was born in Huntsville, Ala and graduated with honors as an electrical engineer from Auburn University in 1947 and remained an active supporter of Auburn activities. Jack retired as a senior manager from TVA in 1988 after being with the authority for 42 years. He was appointed in 1975 by the governor to the Tennessee State Board of Architectural and Engineering Examiners for many years and then became an emeritus member of the board. He was dedicated to the community and served on many local boards including the Engineering Advisory Board of UTC where he helped establish the engineering school and the engineering masters degree program there. He also served on the board and advisory committee of Chattanooga State Community College. He held various offices at local affiliations including the Chattanooga Convention and Visitors Bureau, Chattanooga Engineers Club, Tennessee Society of Professional Engineers, Half Century Club and Chattanooga Civitan Club. He was also a member of the Brainerd United Methodist Church. He was a licensed professional engineer and was named “Engineer of the Year” in 1970 and then “Engineer of the Decade” in 1980 by the Engineering Community. He was preceded in death by his wife, Catherine (Kitty) Anderson; brothers, Gordon Anderson Jr. and William S. Anderson; and his parents, H.G. Anderson, Sr. and Louise Anderson. He is survived by his daughter, Beth Creel and son-in-law, John P. Creel, his granddaughter, Melanie (Justin) Krause and great-granddaughter, Catherine June Krause. The family would also like to thank the caregivers at Visiting Angels for providing him tender loving care during his last years. Memorial contributions in lieu of flowers may be made to Brainerd United Methodist Church, 4315 Brainerd Road, Chattanooga, Tn. 37411 or to St. Jude Children’s Hospital, 501 St. Jude Place Memphis, TN 38105 USA / donors@stjude.org. Arrangements are by Chattanooga Funeral Home, East Chapel, 404 S. Moore Road, East Ridge, Tn.